Here are some of my favorite Lookbook.nu posts that I have seen on my Bloglovin’ today. Be sure to check them out! Tricia G: Her pattern mixing pairs unexpected prints in classic shapes, giving the look a “mod” feel. Vu T.: She keeps the top half of her outfit simple in order to keep the focus on her AMAZING booties! Love the accessories as well. Rachel-Marie: That hat. Those boots. That makeup. 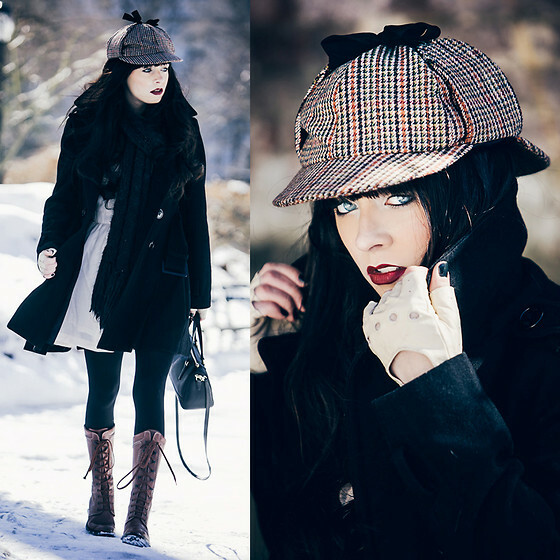 Everything about this look is flawless, and to think the photo was taken in the snow! Hopefully these fashionistas give you all some inspiration for the weekend! Also, checked out your blog and followed, really good stuff you have!